3. 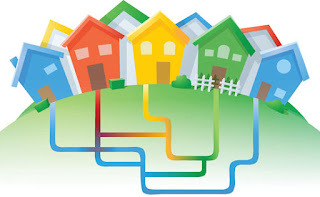 Thou shalt not take the name of Google Fiber in vain; for Google will not bring him Fiber that taketh his name in vain. bandwidth, that there shall not be network enough to receive it. 4. Remember the sabbath day, to clean up thy e-mails. 5. Honour thy facebook friends and thy twitter followers, that thy days may be long upon the interwebs which the High-Speed Internet giveth thee. 6. Thou shalt not over-kill old memes. 7. Thou shalt not commit trollery*. For behold the sons of Adam and the daughters of Eve will rage against thee and thy house. 8. Thou shalt not repost. 9. Thou shalt not bear false witness against thy facebook friends. 10. Thou shalt not covet thy neighbor’s facebook feed, thou shalt not covet thy neighbor’s tumblr, nor his twitter, nor his apps, nor his iPhone, nor his android, nor anything that is thy neighbor’s. Lo and behold, these Ten Commandments I give unto thee. And yea, remember the first and great commandment: Thou shalt love the High-Speed Internet with all thy heart, and with all thy soul, and with all thy mind. 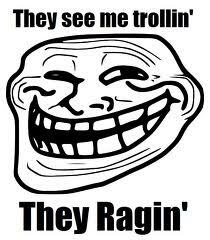 *Trollery is not a real word. Fun fact: Google believes this word to be "trolley". Note: The above post was semi-inspired by this post at BCC. Of course, thanks to short-term internet memory, you may not have noticed until I pointed it out just now. Is the Moses clip from a Mel Brooks film? And thus it was that the lost 5 commandments became known as "the sealed portion" of the 15 Commandments.